Ugo, Akita Prefecture. It’s well-known that the Nishimonai Bon Odori dance is held in Ugo every year in August. But in winter it snows a lot, and the Yukitopia Nanamagari festival is held here on the last Saturday of January every year. 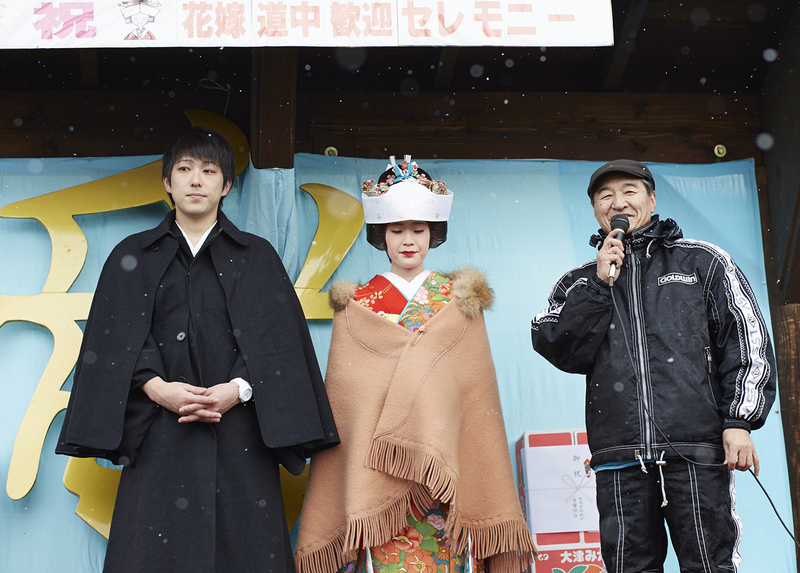 The highlight of this event is the Hanayome Dochu (“the Bridal Procession)”. This month we’re going to find out a bit more about this festival. This will be the 32nd time that the event has been held. 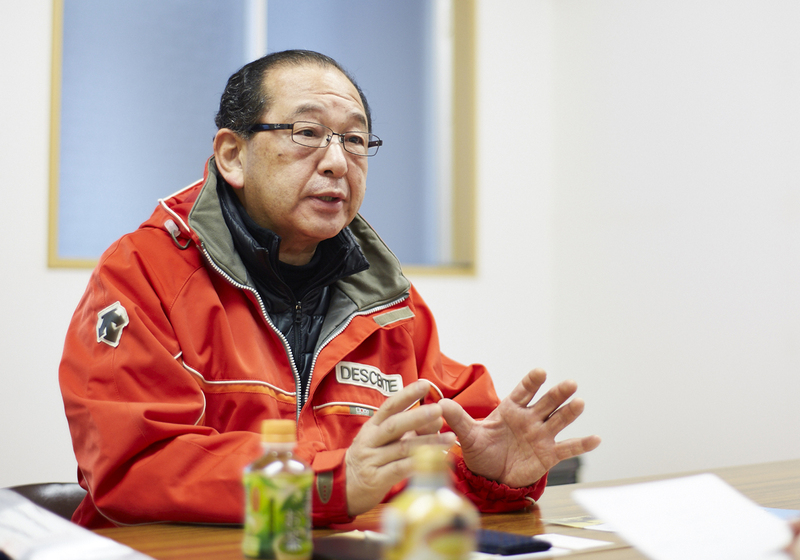 Hirosuke Sugawara has been involved with the Hanayome Dochu ever since it first launched. I spoke with him ahead of this year’s event on January 28th. 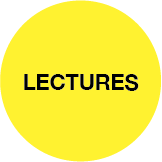 Editor; former designer. Born and raised in Akita, she is a hardocore Akita native! She is Deputy Chief Editor for the free magazine “non-biri”. 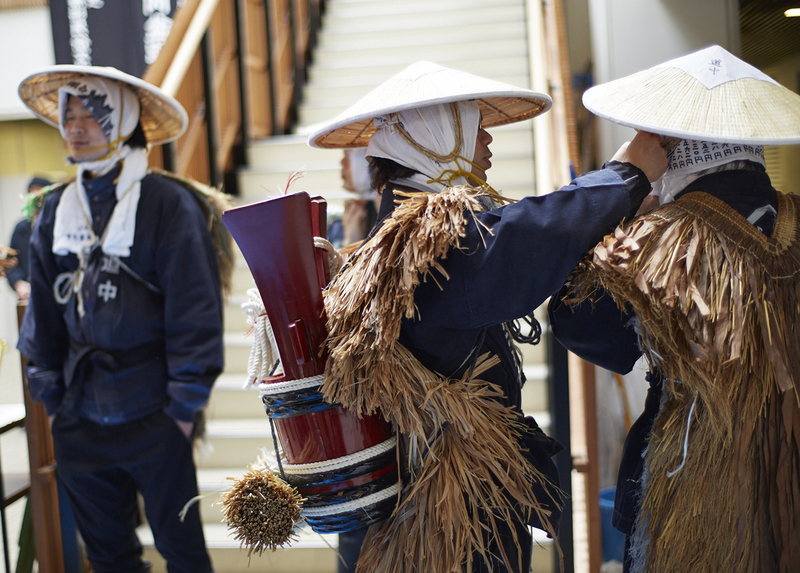 The Hanayome Dochu recreates scenes from a traditional old-style wedding. In those days, the bride and groom would travel to their wedding in a horse-drawn sleigh from Michinoeki Ugo in the Nishimonai region over the Nanamagaritoge Pass to Tashiro where the former residence of the wealthy Haseyama family is located. It’s a 12km journey that takes five hours on foot. 12 kilometers?! Actually, I drove along that road today. It was tough! You mean to say people walk along that road? Yes, that’s right. The bride and groom, along with their matchmaker and attendants, ride in a sleigh. 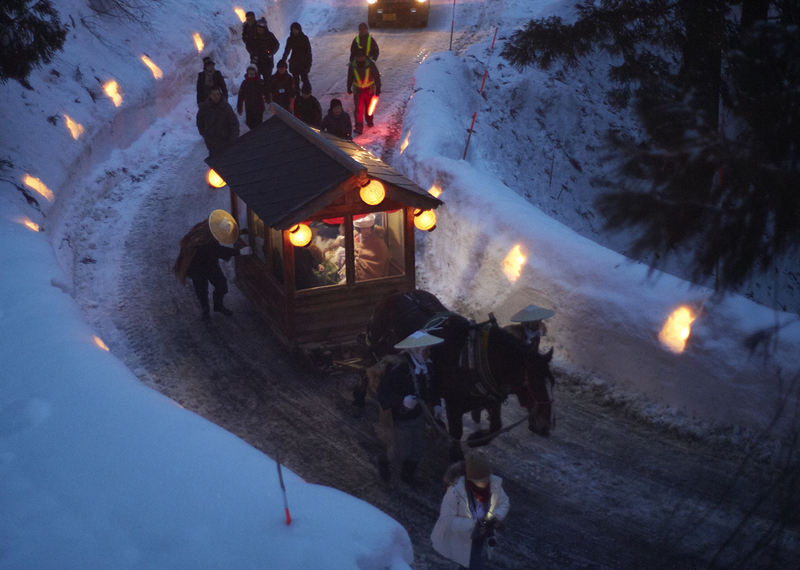 They carry three chests containing their possessions, and the local junior high school students dressed in old-fashioned clothes known as “kera” walk with them, pulling sleighs. In total there are probably around 20 people. What happens along the way? Do they do anything? 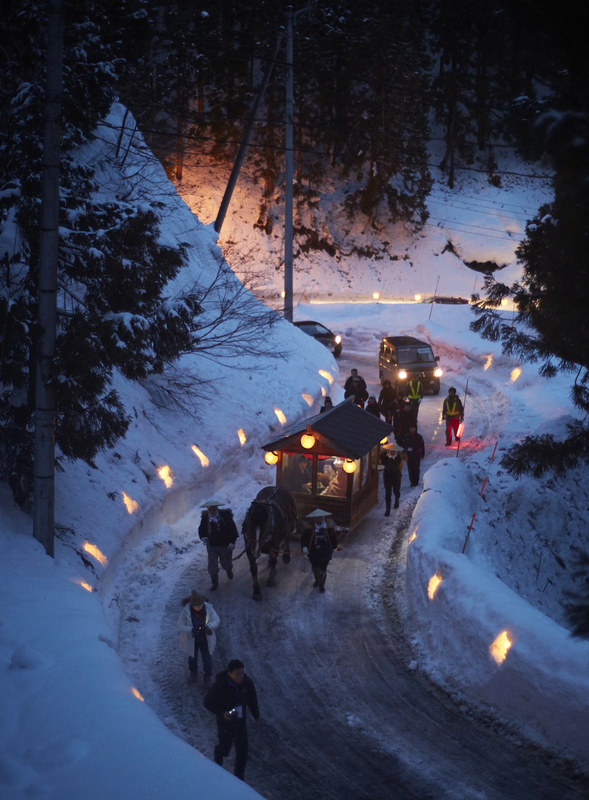 Nowadays, starting at the Michinoeki Ugo, there are various ritual stops set up in the town. The procession halts at these places to formally introduce the bride and groom. A ceremony is held, and red and white rice cakes are offered. 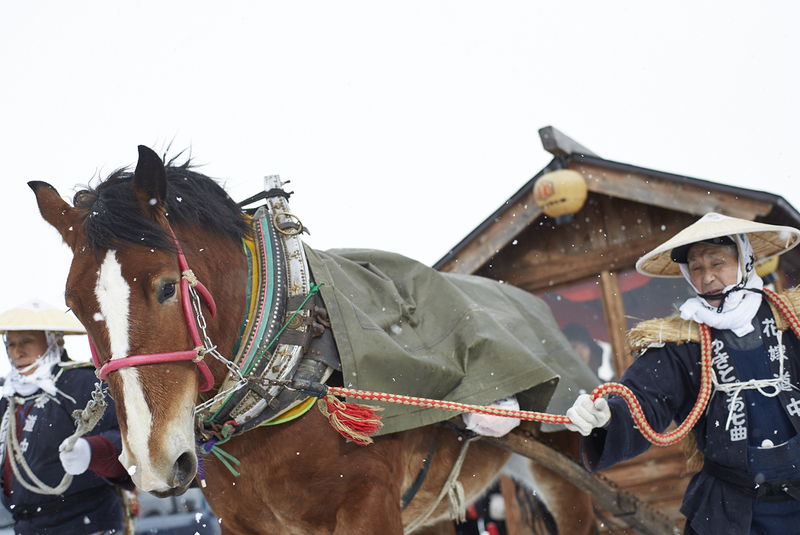 The participants eat some noodles at Hikosa, a soba restaurant, and feed the horses. 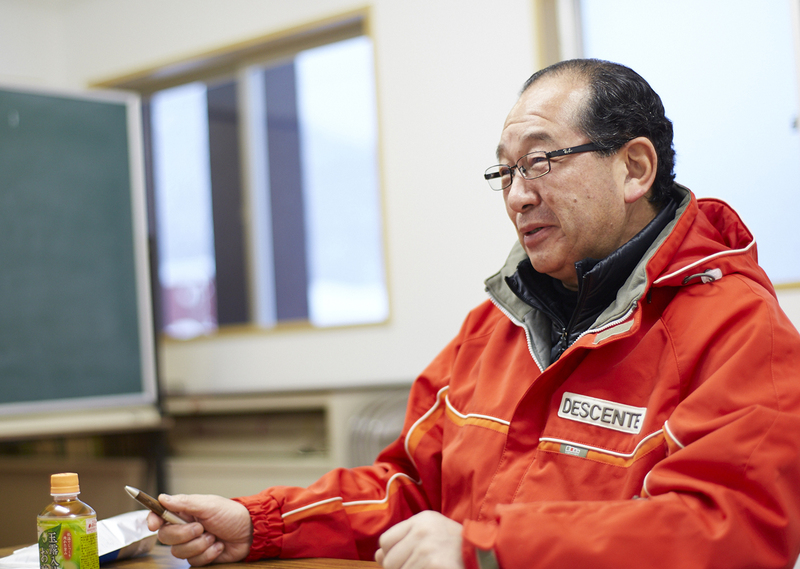 The hardest part of the journey is negotiating the Nanamagari Pass. The groom this year is Takumi Takeda and his bride is Wakana. Each house makes a little shrine of snow at the side of the road and spreads some more snow on the ground if the snow is too thin. 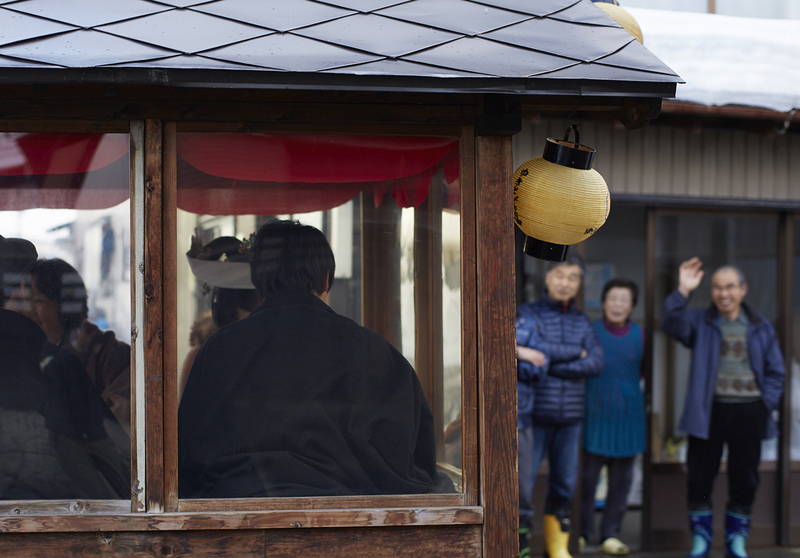 Everyone comes out as the procession goes by, waving their hands and offering cups of sake. The procession travels slowly along the road, going past all the houses. It’s getting dark by the time they start to climb the mountain pass. 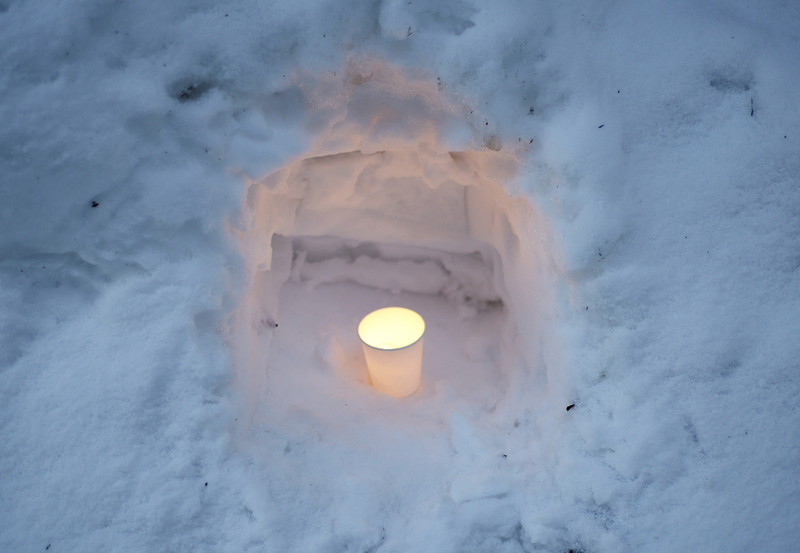 The snow is cleared on both sides and 4000 snow lanterns lamps are lit to make a corridor. However many times I’ve walked this route, it’s such an impressive sight every year! It’s like you’ve entered another world, there’s a sort of magical quality in the air. Photographers come from all over the country. The cameras make such a racket as they click! Click! Click! Click! Click! The horses are the ones pulling the sleigh, but it’s not just horses who are doing the hard work! Horses and humans move as one and you can see the sweat steaming from their bodies. It’s a scene from the 1960’s – you don’t really see old-fashioned umbrellas and clothes like this anymore, so it makes for a great photo opportunity. It sounds like a scene from a fairytale! The whole day is like going back to a bygone age. 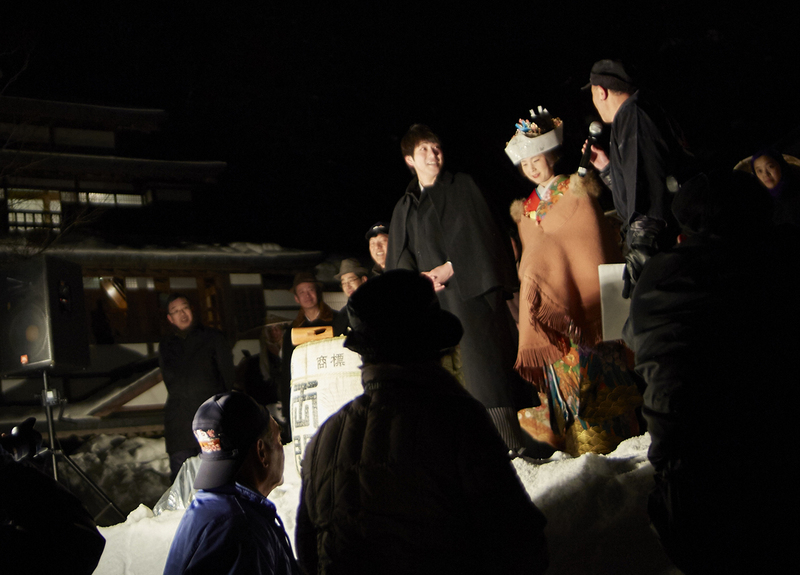 When the procession finally reaches the old Haseyama house, there’s a ceremony to pray for good fortune at an altar made of snow. As part of this ritual, rice cakes are scattered to pray for prosperity and good fortune for the children and descendants of the town. And then we have winter fireworks to close the day. Stunning fireworks burst in colorful patterns over the Haseyama residence. Wow! That sounds amazing. The whole town gets involved! Right. 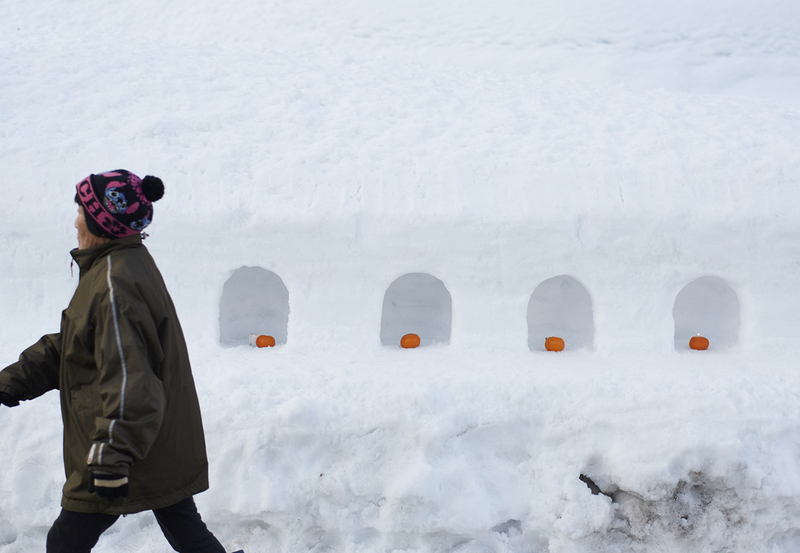 It’s not a big event like the Sapporo snow festival. We’ve put it altogether by hand and it has evolved over the years. 32 years in a row. That’s amazing. So there’s couple getting married every year and doing this! That’s right. Couples apply to participate in the ceremony every year and we choose one of them. Originally we just took whoever happened to be available at the time and was keen to do this. There have been a few years when we don’t have many applicants, but I’m pleased to say that now it’s easy for us to find a new couple every year. Amazing! So how did the event start in the first place? Sure. I went to away to study at college in Tokyo when I was younger, and after studying for seven years, I came back here to take over the family business when I was 26. The locals here tended to be fairly wary of all the snow that we get in winter. The general attitude was that they’d prefer to live somewhere a bit less snowy. I see. So you came back despite the snow. I can see why this much snow could be a problem for some people. Sure. But personally, I’ve always loved the snow ever since I was a kid, so I don’t have much time for people with that kind of attitude. You mean feeling negative about living here? Yes, exactly. 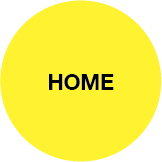 When I returned home I knew that this is where I wanted to spend the rest of my life. “This is the place for me”, I said to myself. 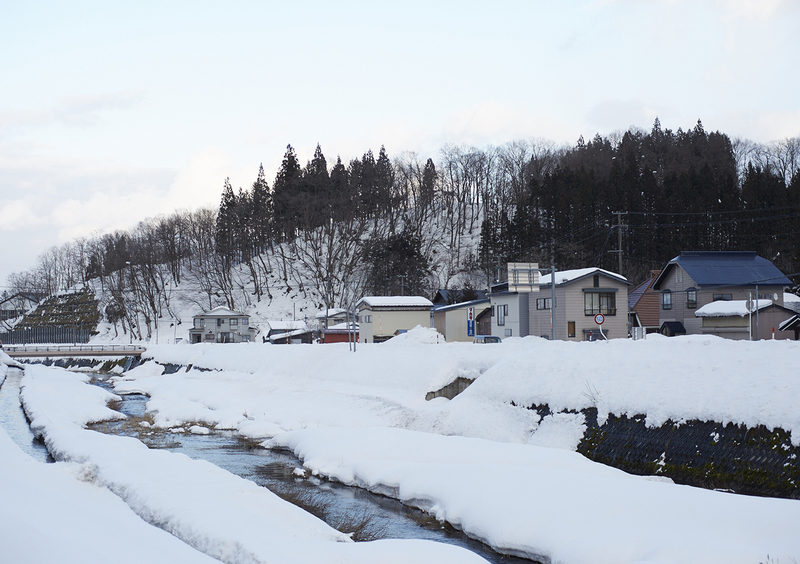 The snow takes a lot of getting used to in Akita. I thought, “Right. Let’s make the best of this and see what we can do to make the snow something to be enjoyed.” That’s the commitment I made to myself. I was invited to do some volunteer work with the Yuzawa Junior Chamber. While I was doing this, I thought about what sort of things we could do in Ugomachi that couldn’t be replicated anywhere else, wither in Japan or overseas. In fact, up until the Tokyo Olympics in 1964, the roads here in Tashiro were actually closed to traffic during the winter. My high school was in Yuzawa on the other side of the pass. I lived in a boarding house and when I came home at weekends I used to take a shortcut through the pass. You mean you walked it?! Yes. Up until the first cars were allowed through in winter in 1965, you had to walk or go in a horse-drawn sleigh or use a sledge. That’s what life here used to be like. A bit like living on a remote island, I guess. Yes, that’s right. Winter is the quiet period for the farmers so that’s the time of year when many people used to get married. 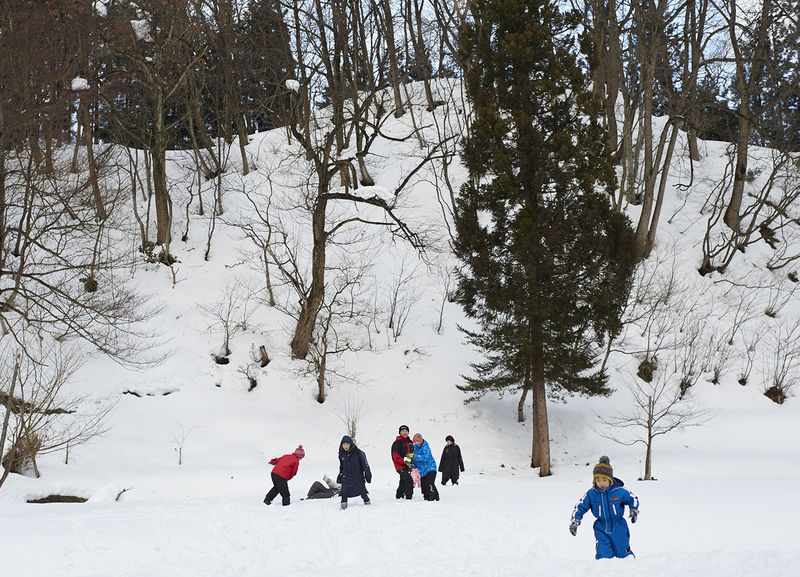 That’s why up until 1964, local wedding ceremonies used to involve walking or sledges and sleighs with horses. In those days the wedding ceremony lasted three days and three nights and was held in your own home. They didn’t have wedding venues or reception halls like they do now. The Yukitopia Nanamagari event evokes these old memories. The first festival was held in 1986. There was a gap of around 10 years between having the initial idea and the first event being held. Today we’ve learned about the background to the Hanayome Dochu. Next time we’ll find out a bit more about the first time the event was held.